DeSantis told the Free Beacon the Golan Heights territory is key to thwarting Iranian influence across the region and that the United States' recognition that Israel owns the territory could send a powerful message across the region. 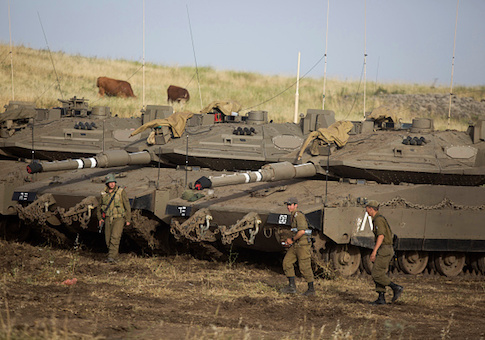 "The continuing turmoil in Syria and the steady expansion of Iranian influence illustrate why the Golan Heights are so important to the state of Israel and the anti-terror alliance," DeSantis said. "The Golan provides Israel with a necessary buffer against the malevolent actors that are wreaking havoc in Syria." "Indeed, Israel would be hard-pressed to ward off such threats without the Golan," the lawmaker explained. "Given the interest of the U.S. in rolling back Iranian influence and combating terrorism, it is time for the United States to recognize Israeli sovereignty over the Golan Heights." As with the United States' recent recognition that Jerusalem is Israel's capital city, the recognition that the Golan Heights cannot be given back to Syria represents a factual reality on the ground, DeSantis said. "There is no conceivable scenario in which it makes sense for Israel to abandon such a strategically significant location so that terrorists can fill the vacuum left behind," he said. This entry was posted in National Security and tagged Israel, Syria. Bookmark the permalink.